Thought Field Therapy (TFT) provides a code to nature's healing system. When applied to problems TFT addresses their fundamental causes, providing information in the form of a healing code, balancing the body's energy system and allowing you to eliminate most negative emotions within minutes and promote the body's own healing ability. We provide common recipes (algorithms) or codes in our books and tapes. Specific or individual Codes are elicited through TFT's unique assessment procedures taught in Steps A, B, and C training programs. We aim to provide and encourage interest and education in the Callahan Techniques® Thought Field Therapy (TFT) to both the professional and lay person, establishing standards of protocol and training in TFT. Through our Thought Field Therapy Training Center, web sites and newsletter, we teach a highly effective, non-invasive, healthy self-help alternative to long-term, or drug related psychotherapy. We strive to make TFT available to all, world-wide, helping to end much of the human suffering caused from traumas, stress and life's problems. Our unique Voice Technology™ allows us to provide training support throughout the world. Our web sites, training programs and newsletter, The Thought Field, promote public awareness, acceptance and understanding of the Callahan Techniques® Thought Field Therapy as an important, safe and effective self-help tool. Dr. Roger Callahan, our founder and developer, has a personal mission to achieve worldwide recognition, acceptance and use of Thought Field Therapy. Together, we continually strive to accomplish this mission through trainings, advertising, marketing, public relations and international charitable assistance. We truly believe we can have a significant impact on the decrease of human suffering if everyone has these tools at their disposal. 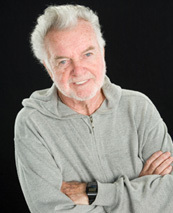 Founder and developer of the Callahan Techniques® Thought Field Therapy, Roger J. Callahan, Ph.D., is a clinical psychologist. A graduate of the University of Michigan, he received his Ph.D. in clinical psychology from Syracuse University. And the newly released Tapping the Healer Within (Contemporary, McGraw-Hill). This latest book has been translated and is available in the United Kingdom, Japan, Korea, Chinese, French and soon to be Taiwan and Norway. You can visit our store for Dr. Roger Callahan Books and training programs. Past President of the American Academy of Psychologists in Marital and Family Therapy and the Michigan Society of School Psychologists, Dr. Callahan has taught at the University of Michigan and Syracuse University. He was an Associate Professor at Eastern Michigan University, a Research and Clinical Psychologists at Michigan's Wayne County Training School, and he is a current Fellow of the American Academy of Psychotherapists Treating Addiction. Dr. Callahan has had private psychotherapy practices in Detroit, New York, Los Angeles, Indian Wells, and La Quinta, California. Dr. Callahan has demonstrated the Callahan Techniques® Thought Field Therapy on Radio and Television shows all over the country including Good Morning America, Cable Network News(CNN) and Evening Magazine, Regis Philbin, Tom Snyder, LEEZA, Jenny Jones, and Regis and Kelly as well as many others. Phil Donahue devoted an entire program to Dr. Callahan and his work on "amouraphobia". Currently licensed in New York and California, Dr. Callahan heads the Thought Field Therapy Training Center in La Quinta, California (a Palm Springs community). The TFT Training Center conducts trainings in Callahan Techniques® TFT and publishes a quarterly newsletter, The Thought Field. Dr. Callahan is Chairman of the Board for the professional organization Association for Thought Field Therapy. 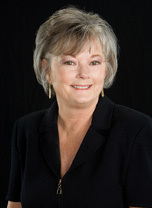 Co-developer of Thought Field Therapy with her husband Roger, and CEO of Callahan Techniques, Ltd.
Joanne currently serves on the board and is an officer for the professional organization, Association for Thought Field Therapy. TFT is the origin of meridian tapping therapy that uses nature's healing system to balance the body's energy system. What is Thought Field Therapy® (TFT)? You don't have to experience a reduced quality of life caused by pain and anxiety! Researchers at Oxford University in the United Kingdom have found that the anxiety caused by the anticipation or experience of pain makes the perceived level of pain much worse. TFT effectively reduces or eliminates anticipatory anxiety in addition to reducing the pain. Length of relief from pain, per occurrence, is also important to the sufferer. In a study, TFT provided longer relief than that experienced from pain medications. Statistically significant results were obtained with all problems and symptoms treated with TFT in a study at Kaiser Behavioral Health Services. These problems included anxiety, depression, alcohol abuse, anger, anxiety due to medical condition, bereavement, and chronic pain along with others. When I observe a number of suffering patients who did not respond to our usual treatment modalities, suddenly get better after TFT treatments are given, I don't need a double-blind controlled study to tell me the value of Callahan Techniques® TFT. ... you can use TFT energy tapping in addition to your medications to reduce the risk associated with continued medication use and to enhance their effect. It makes economic and reasonable sense that we use a natural, risk-free process for pain relief and management "first", before we spend large sums of money for medications with known side-effects and unknown risks. For a safe, drug-free, non-invasive way to relieve your pain with no side effects, get our TFT Meridian Tapping Pain Control Audio Download today for only $17.95. In most cases, the self-administered technique demonstrated in the recording by Dr. Callahan himself, will give you the exact same results describe in the research study conducted by Dr. Pasha and others. Don't wait to relieve your pain. Get the TFT Tapping Pain Control Audio Download today. 1. Longhairs, A., Tracery, I., Gait, J. S., Clare, S., Menon, R. S., Matthews, P. M., & Rawlins, J. N. (1999). Dissociating pain from its anticipation in the human brain. Science, 284(5422), 1979-81. Copyright © 1999-2009 Callahan Techniques, Ltd. All rights reserved.